Two years ago, in 2012, Seiko introduced a Tenth Anniversary model of their Grand Seiko GMT watch –one with a strap, and one with a bracelet. 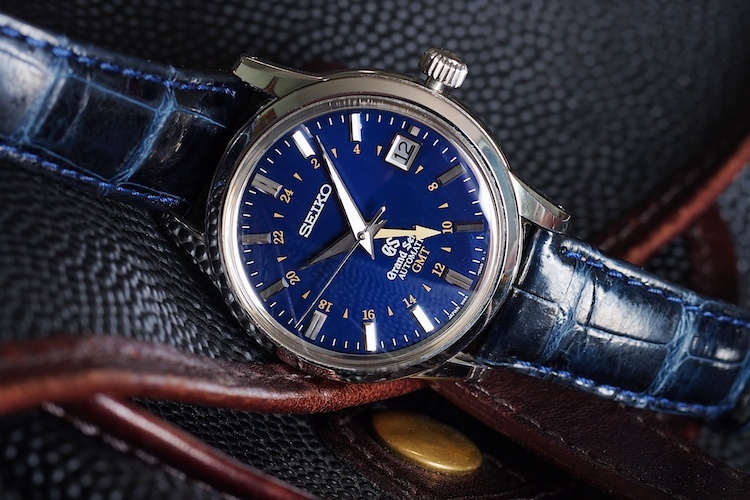 The Grand Seiko watches are very well known among enthusiasts –so much so that if you’re reading this story at all you probably know about them already –but the idea of a high quality, high precision, luxury level mechanical Seiko watch is still hard for some of us (even dyed-in-the-wool watch nuts) to comprehend. The first is simply time. Seiko’s been making watches and clocks since the late 19th century, they’re a world pioneer in precision timekeeping (having been the first to market with a quartz watch in 1969, and also, in the same year, introducing one of the world’s first self-winding mechanical chronographs.) 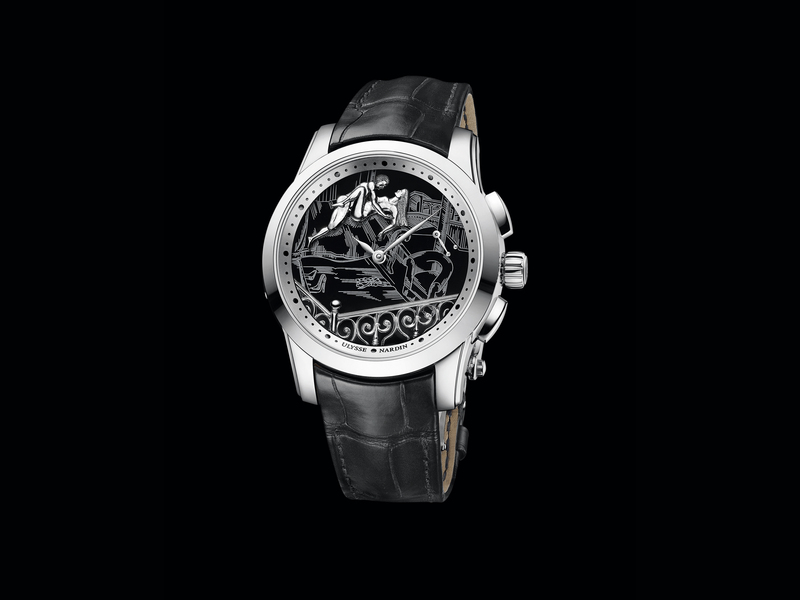 The second is the very high quality of the watches –especially relative to the price. 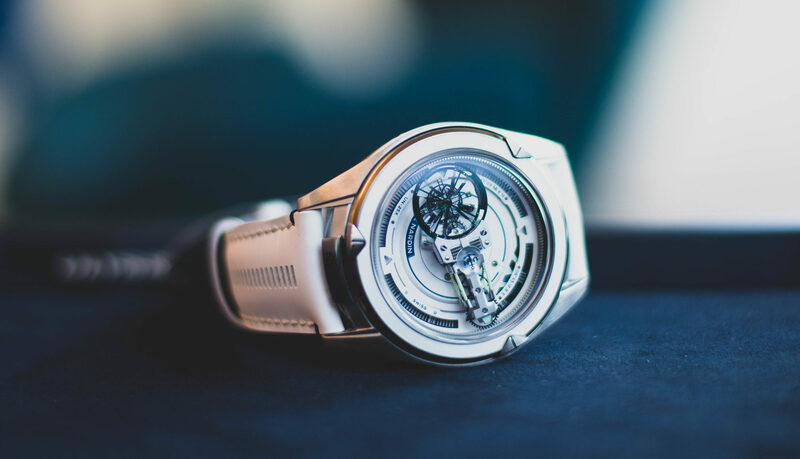 For under $10,000 —well under, generally –you can get a fairly exclusive watch, with an entirely in-house movement (and I mean entirely; Seiko makes everything down to balance springs and escapements and is probably one of the few watchmakers to actually grow its own quartz crystals.) You also get phenomenally high quality –out of all proportion to the price. 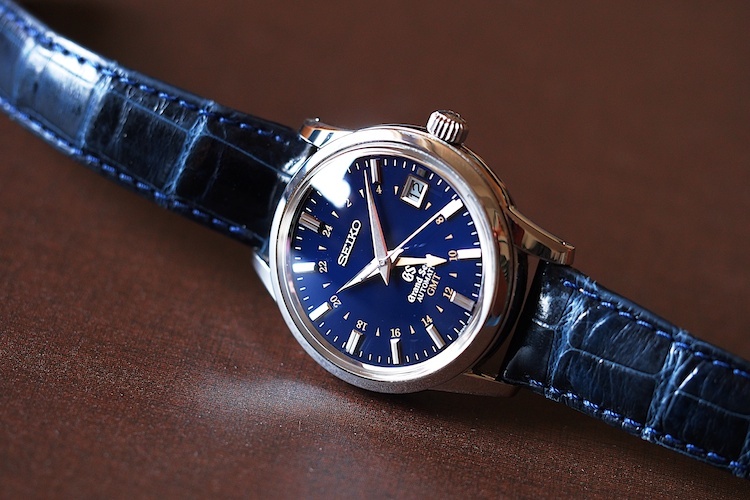 It’s often said by experienced collectors that Grand Seiko gives up nothing to any Swiss watch at any price point in terms of the quality of dials and hands, and their movements, while not subject to the kind of leisurely hand-finishing that characterizes the finest Continental watchmaking, are nonetheless extremely precisely made, and faultlessly crisp in execution. 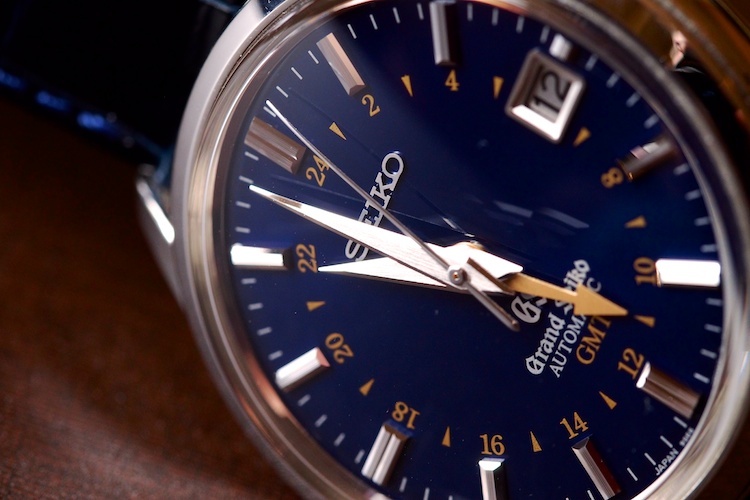 There’s a philosophy behind Grand Seiko: to make a watch of very high quality that is easy to wear, easy to own, easy to use, and above all, which keeps time reliably and accurately. It’s a characteristic of the Japanese approach to certain objects to refine every aspect of that object to within an inch of its life, and this is a pervasive feature of Japanese culture. You may be a just a yakitori chef but the idea of being a “just” a yakitori chef is an alien one; the ideal is to become so identified with your work that it becomes an expression of a certain kind of transcendent perfection. Now this isn’t, of course, a universal, but it is characteristic, and it’s very much a part of the Grand Seiko approach. The movement is adjusted in six positions and to temperature and isochronism, and is assembled by hand –including manual centering of the balance spring –at the small Grand Seiko production facility about 500 or so kilometers north of Tokyo, in the small city of Morioka. Like all Grand Seikos, the GMT Anniversary watches are very unostentatious, but also very, very well made in every aspect, from the chronometer grade movement to the flawlessly executed and very detailed hands and dial markers. 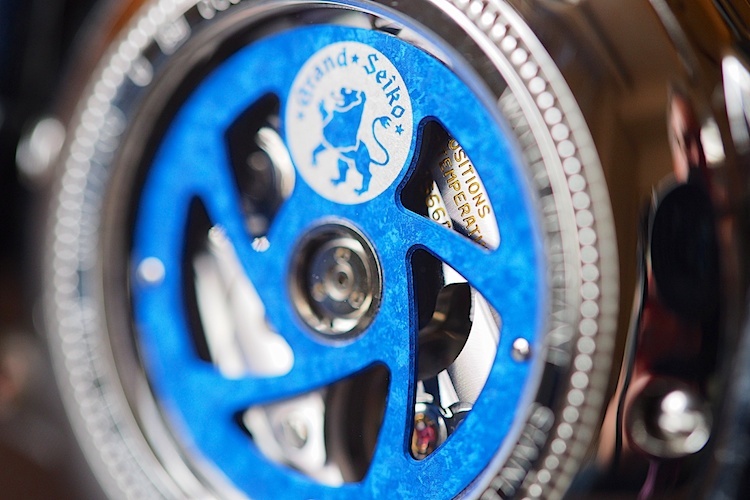 The dial is a very deep blue, which, depending on the light, can seem anything from almost jet black, to navy blue, to a brilliant deep color reminiscent of a blue sapphire. It’s also, thanks to the high level of polishing, extremely hard to photograph; the level of polish is so high that virtually any angle presents you with at least one or two completely black or white surfaces –it’s as if the entire watch case has actually been black polished. On the wrist the watch is extremely comfortable –it has that rare facility of being both very pleasurable to handle and look at, but disappearing from one’s attention otherwise; it feels, in a word, natural. The comfortably sized crown’s likewise a small but distinct pleasure to use and hand winding produces the sensation of interacting with a robust, high precision mechanism (precision, there’s that word again.) 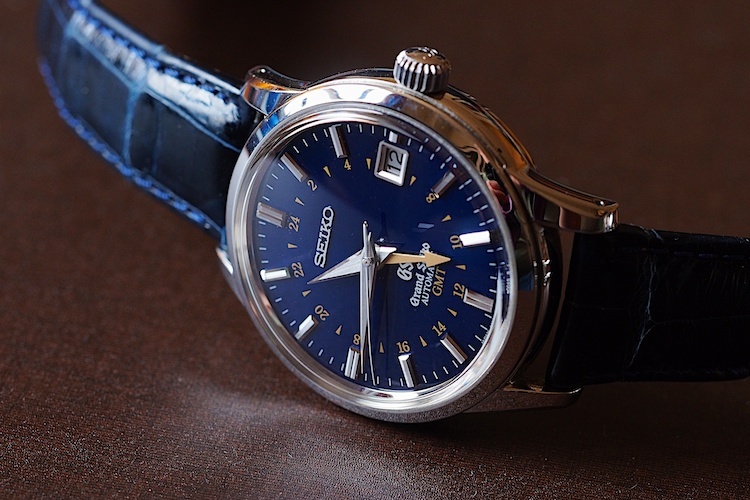 In fact if you’ve never wound a Grand Seiko, I recommend the experience –the feeling’s akin to that usually only find in watches sold at a price an order of magnitude or more greater than the cost of a Grand Seiko. This is a true GMT watch, as well –the crown sets the hour hand forwards or backwards in exact one hour increments, while the gold GMT hand continues to show home time; and having taken this watch around the world a few times I can attest that it’s essentially the perfect traveler’s timepiece: everything you need, and nothing you don’t. The watch doesn’t draw undue attention to itself –it’s too soberly devoted to the task at hand for that –but if you pay attention to it, you begin to slowly realize just how much attention to detail has been devoted to every aspect of the watch. It’s a timepiece that unfolds its particular beauty over time (though a trained eye will recognize the lavishly excellent work each Grand Seiko watch represents immediately.) They’re watches made for the long haul –faithful retainers intent not on showy short-term gratification, but on offering a lifetime of reliable and first-rate service that expresses a definition of excellence centered around impeccable presentation and flawless performance rather than ostentation. Fine watchmaking increasingly has become an area where price increases keep all but the most affluent from being able to approach. 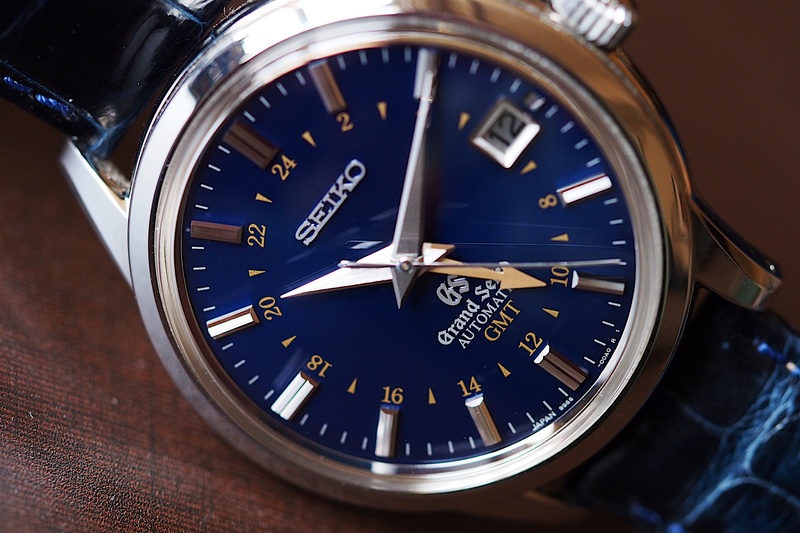 The Grand Seiko watch is unusual in a lot of respects, but nowadays, perhaps most in being one of the few remaining examples of luxury watchmaking where the old ideal of real artistry arising natural from a devotion to functional excellence is still a reality. Find a Grand Seiko authorized dealer in the USA here. Jack Forster is the US Editor-in-Chief of Revolution Magazine (USA) and contributes to Revolution’s international and digital editions, as well as The Rake.